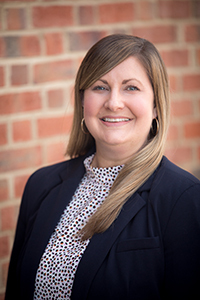 Jane Matthews serves as Assistant Director of Employer Relations in the Office of Career Planning at Meredith College. She focuses on building relationships with employers and developing appropriate avenues to connect them with students. She also provides career counseling with a strengths-based focus to students and alumnae in all majors, helping them to identify their strengths and relate them to career decision-making, major selection, job and internship searches, resume writing, interview preparation, and planning for graduate school. She also partners with faculty to present career-related topics and plan networking events for students at Meredith. Prior to joining the team at Meredith, Jane served as a Career Counselor at NC State University, and before beginning her career in higher education, she held positions in both corporate recruiting and business management. Jane is a Nationally Certified Counselor and has an M.Ed. from NC State University.